With over 80% of organic carbon being present in the form of cellulose, lignin and starch, it is unsurprising many groups have attempted to use these as feedstock chemicals and materials. Extensive hydrogen bonding makes the plasticisation of starch and the dissolution of cellulose difficult. This talk shows that the incorporation of a simple salt can lead to a flexible plastic with mechanical properties similar to oil derived plastics. Most importantly these plastics are recyclable and ultimately compostable. 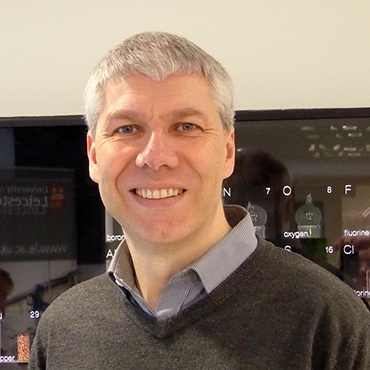 Andrew Abbott is Professor of Physical Chemistry at the University of Leicester. He is also a Fellow of the Higher Education Academy and of the Royal Society of Chemistry.